Canadian literary legend David Adams Richards will open the 2018-19 Lorenzo Reading Series with his new novel, Mary Cyr, on Thursday, Sept. 27, at 7 p.m. in the Ganong Hall Lecture Theatre at UNB Saint John. Mary Cyr opens in Mexico just as a disaster strikes a small town: a coal mine has collapsed with 13 men trapped inside. Less than 48 hours later, the authorities abandon all hope of finding survivors and seal up the entrance - willfully oblivious to the souls still breathing underground. Shortly after, 13-year-old Victor is discovered dead in the hotel room of a Canadian visitor - a 45-year-old woman, and heiress to a vast fortune, who goes by the name Mary Cyr. This begins a shocking, brilliant and compelling novel. In his last couple of novels, David Adams Richards has widened the scope of his vision, taking readers into far-flung countries even as his beloved territory of New Brunswick's Miramichi remains his touchstone, the spot to which all his stories return. In Mary Cyr, the unwinding tale takes readers from a harsh jail cell in Mexico, where Mary Cyr is imprisoned, deep into Canadian police officer John Delano's past, and even further into the murky depths of a wealthy New Brunswick family whose ties to mining, newspapers and other interests lead to the highest corridors of power. At the heart of this maelstrom lies a woman who is compromised and confused, but also poignant, wounded and well-intentioned: the beautiful and tragic Mary Cyr. David Adams Richards is one of Canada's most distinguished writers. His recent novels Principles to Live By, Crimes Against My Brother and Incidents in the Life of Markus Paul were published to wide acclaim. 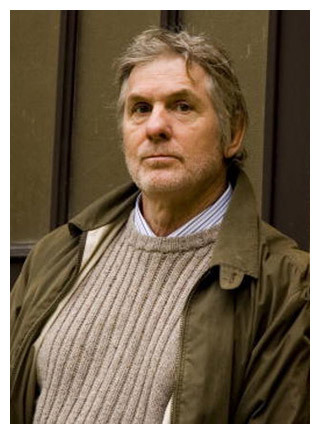 Among his other recent novels, The Lost Highway was shortlisted for the Governor General's Literary Award for Fiction and nominated for the Scotiabank Giller Prize; Friends of Meagre Fortune won the Commonwealth Writers' Prize for Best Book; and Mercy Among the Children won the Giller Prize and was shortlisted for the Governor General's Literary Award and the Trillium Book Prize. Richards is also the author of the celebrated "Miramichi Trilogy" and has written four bestselling books of nonfiction: Lines on the Water, God Is, Facing the Hunter and Hockey Dreams. He was made a Member of the Order of New Brunswick in 2005 and the Order of Canada in 2009. In 2017, he was appointed to the Senate of Canada. He divides his time between Ottawa and Fredericton.